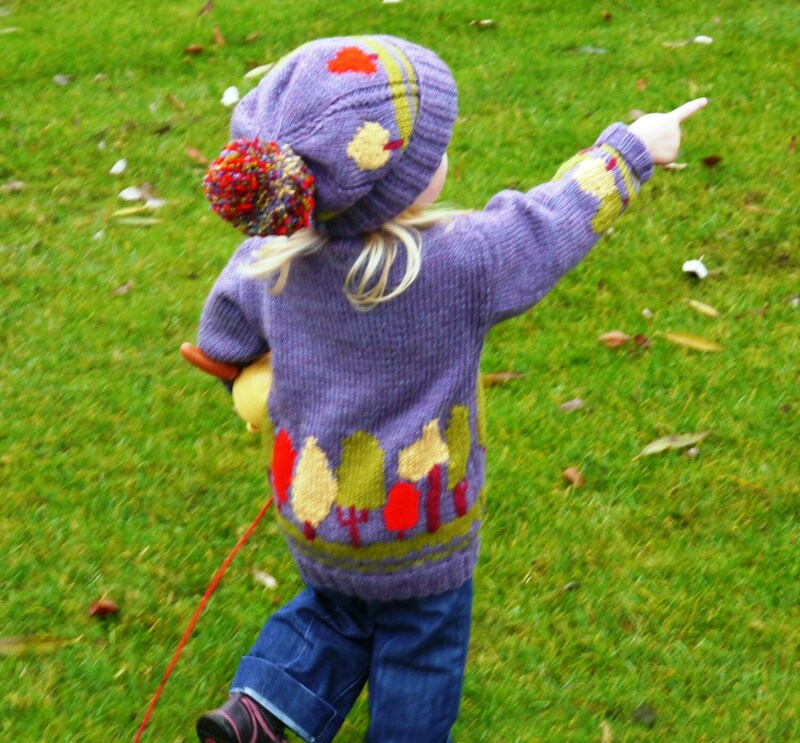 This Aran Sweater and Hat set featuring coloured Trees was designed after walking amongst the Autumn coloured trees in the Cotswolds, UK. It is a lovely time of the year and the trees are just an amazing rich colour. 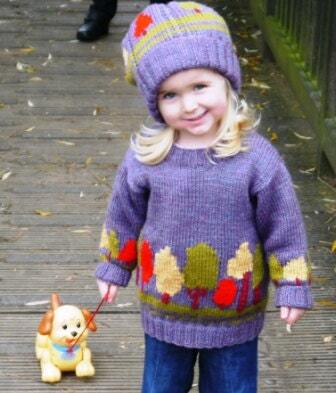 Knitting Pattern for ages 2 to 10 years. The trees appear on the front, back, sleeves and hat. 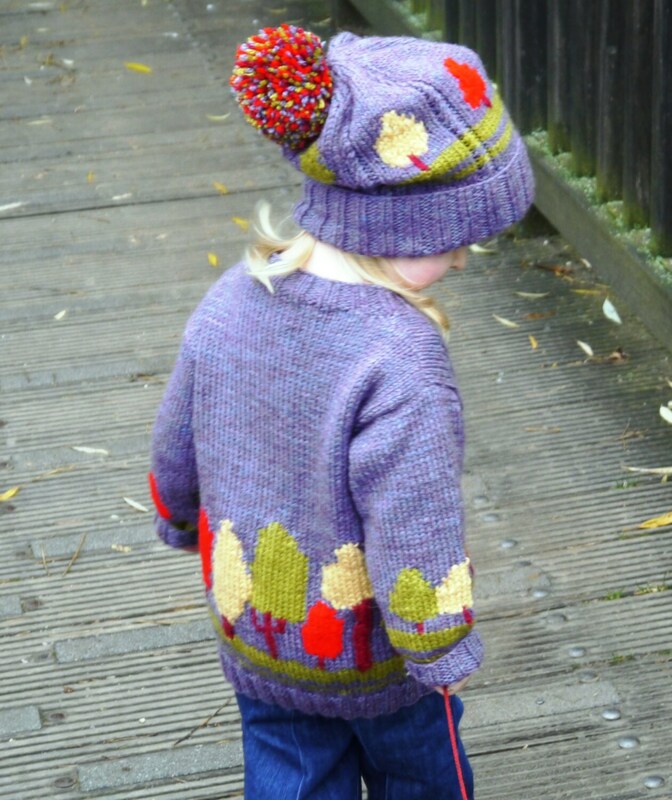 The photos show the Sweater and Hat colours as Clover for the main yarn plus small amounts of Red, Yellow, Green and Maroon for the trees. A quick design to knit. 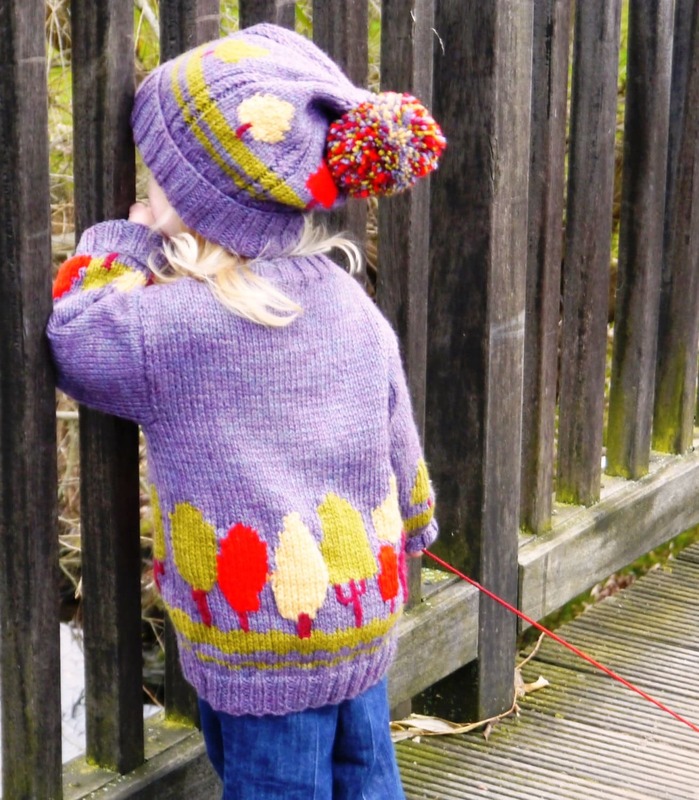 The pattern includes colour coded sizes for ages from 2 to 10 years and a large full-page coloured intarsia chart. 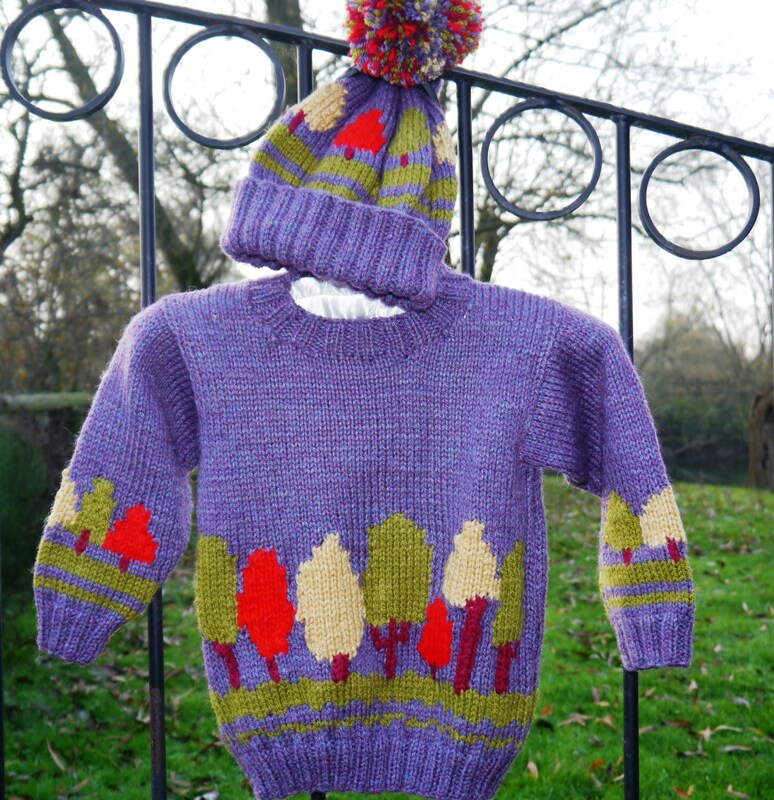 Instructions for knitting Intarsia and the pompom for the hat are included in the pattern.